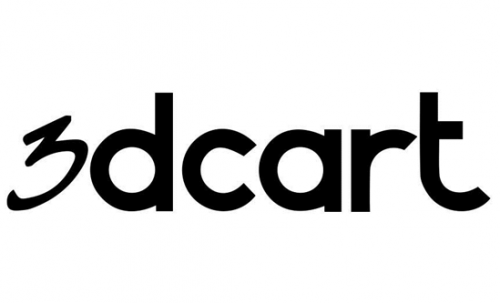 Jimmy Rodriguez, co-founder of the popular ecommerce software solution 3DCart, has a few ecommercedesign tips to share with the ecommerce design community. As owner of a 3DCart design agency in Los Angeles, I found these tips to be right on and worth passing on. Design tips like these are used regularly by my 3DCart design agency in Los Angeles. If you take these tips into account, you’re sure to increase the conversion rate on your online store and improve the overall shopping experience for your customers. Shoppers like to know that what they are adding to their shopping cart is being saved. No one wants to waste their time shopping only to have their selections disappear. A great way to ensure your shoppers’ peace of mind is to prominently display their shopping cart contents throughout the course of their visit. Make your shopping cart information pop out with contrasting colors, and make it easy to check out whenever the customer is ready. Add to cart buttons make a dramatic impression on shoppers. Blues and greens work better than oranges and reds when it comes to the color of the button, while experience has shown that a direct, positive call to action like “add to cart” or “buy now” has the greatest effect. Many shoppers like to go directly to the search to find their products. Cut down on trial and error by providing an auto-complete function that displays closest inventory items to a customer’s search to make the shopping experience more convenient. Make sure your categories and subcategories are clear and logical; overly complex and tangled categories might cause your shoppers to become lost and frustrated. Fly-out menus that pop out help to reduce clutter, and include category paths so that customers can retrace their steps if they need to. Let shoppers filter their searches and adjust parameters for products-per-page. Providing customization options like this allow shoppers to tailor their own shopping experience, and they will be more likely to buy and to come back as well. Set up quick product overviews so that shoppers in a hurry can briefly scan your products. If they want to learn more, they can click through to a more detailed product page. Make sure your product pages are clean and easy to read. Images, prices, descriptions, and buy buttons should be the first thing the shopper sees. Reviews and additional links can come later, further down on the page. Show up to date product availability in bold colors right on the product site. It is frustrating for a shopper to spend time adding items to a cart only to find later that they are not in stock. Make sure product variations, such as sizes and colors, are easy to find and navigate. Shoppers want to know exactly what they are getting, so provide prominent drop-down menus and color swatches. Don’t overcomplicate the checkout process with more sales pitches or extra information. The pathway to the checkout page should be clear and easy to navigate. Offer one-page checkouts for the highest conversion rates. If it is easy for your shoppers to check-out, it is more likely they will return next time. If you want to take the guesswork out of building the ultimate online store, enlist the services of our professional 3DCart design agency in Los Angeles.Coalition Technologies has extensive experience building shopping carts with the 3DCart platform. See what our 3DCart design agency in Los Angeles can do for you. Call us at 1-888-993-7639 and receive your free quote today. CoreCommerce is one of the top competing ecommerce platforms on the market. For those looking for a comprehensive shopping cart solution for their online business, CoreCommerce has plenty of useful functions to meet business’ needs. The company is constantly updating the software, leaving CoreCommerce designers with plenty of features to constantly keep up with. One recent feature that has CoreCommerce designers excited is a responsive design themes feature, which allows merchants to build flexible online stores that look great on any device. In the crowded, competitive ecommerce marketplace, it is important to stay current on the top ecommerce features so you can provide your customers with the best possible shopping experience. CoreCommerce is a great program that allows you to build a nice-looking online store fast. It features a collection of easy-to-use templates in which you can upload your logo and customize your theme to provide an appealing store for your customers. With this program you can set up product galleries, handle multiple payment methods, ship your product, and much more. Included tools allow you to optimize your store for search engines and reach out with your products on social media like Facebook, Pinterest, and Twitter. CoreCommerce is always adding features to the software to further assist merchants with their online businesses. One of the more exciting features that CoreCommerce hasrecently added is the responsive design themes feature. Usually when you build a site, you put in a fixed width you want that is optimized for viewing on a certain device, usually a PC or laptop monitor. However, if a customer wants to view your store on a smartphone or tablet screen, the site design might not translate well, resulting in a diminished shopping experience. Usually CoreCommerce designers have to craft multiple site versions, each of which are configured to be viewed on different sized screens. However, with CoreCommerce’s responsive design themes feature, site themes are flexible, allowing their designs to conform to the format of the device they are being viewed on. This not only saves time for the designer, it also provides a consistent shopping experience for your customers. Your customers can use any device to view your site, and they will still get the optimized shopping experience every time. Since your store is appealing to more customers across various devices, you will have many more opportunities for increasing your conversion rate. To succeed as an ecommerce business today, you have to do more than provide excellent products. You have to provide your customers with a convenient and memorable shopping experience. An ecommerce software solution like CoreCommerce has the power to craft an excellent online store, but to get the most out of the program, you should consider hiring professional CoreCommerce designers. A professional has intimate knowledge of CoreCommerce’s functions and capabilities, and can build an online store that takes advantage of these things. More importantly, a good professional CoreCommerce designer can keep up with the cutting edge in CoreCommerce features and make full use of them, such as the responsive design themes feature just introduced.Coalition Technologies offers the top CoreCommerce designers in the industry: our designers have extensive experience building stores on the CoreCommerce platform, while keeping up with changes in the industry and the latest in cutting edge features. Give us a call at (888) 993-7639 today for a free quote. Pinnacle Cart is a robust feature-packed ecommerce platform that has everything you need to run a successful online store. With all of the competing shopping cart solutions out there on the market, how does Pinnacle Cart hold up? As owner of a company that employs PinnacleCart designers & developers, I’ve had quite a bit of experience with the software. Below I’ve summarized the basic pros and cons of this software so you can decide for yourself if you want to work with it. This program is packed with all of the features and functions that PinnacleCart designers & developers need to build an excellent online store. There are plenty of great web design tools such as templates and customization options like custom buttons, headers, and footers. Pinnacle Cart also features excellent inventory controls. You can easily track your inventories by specifying products under certain attributes and searching for them. There are also low inventory notifications, and you can specify when you want to be notified if levels dip below a certain point, and what to do with inventory items if they do dip in stock. Pinnacle Cart has solid security features. The program adheres to the Payment Card Industry (PCI) standards to protect against credit card fraud and to protect your customers’ information. The shopping cart also uses a shared SSL certificate so that all of your transaction information is encrypted when it is sent from your site to payments. Pinnacle Cart also has marketing tools like page publishing and multimedia uploading to take advantage of. Where the program suffers is its interface. Pinnacle Cart is not as intuitive or easy to use as other leading ecommerce platforms, and it takes some time to get to know the software. Though this program offers tons of features and robust functionality, the many options aren’t organized very well in a simple interface, which is something other programs like BigCommerce and Shopify handle just fine. This steep learning curve can frustrate anyone other than the most seasoned PinnacleCart designers & developers. There are also some minor missing features such as product comparisons and shopper loyalty programs. Though Pinnacle Cart can be frustrating to get a handle on due to its cumbersome interface, the program is a powerful offering that provides more than enough features and functions for PinnacleCart designers & developers to craft excellent online stores with. If you are using Pinnacle Cart to build an online store for your business, consider hiring professional PinnacleCart designers & developers.Coalition Technologies offers the most talented PinnacleCart designers & developers in the industry. Take the frustration out of building your online store and let our experts handle the heavy lifting. We know excellent design, store functionality, shopping experience, marketing, SEO, and everything else you need to be successful as an online merchant. Give us a call today at 1-888-993-7639 and we’ll give you a free quote. X-Cart is one of the many ecommerce platforms that competes on the market with the likes of industry leaders such as Bigcommerce, Shopify, Magento, and Volusion. How good is this program? As owner of a firm that provides XCart designers & developers in Los Angeles, I have plenty of experience with the X-Cart shopping cart platform. Below is my review of the X-Cart platform, as well as suggestions for getting the most out of your ecommerce software. Xcart features a comprehensive shopping cart solution for online businesses: the program features online store design, inventory management tools, useful marketing features, solid security safeguards, and excellent customer support. For design, the program offers 14 site templates that look pretty good on their own, and there are plenty of customization options, though deeper customization takes some coding knowledge. Of course, the coding isn’t a problem for our XCart designers & developers in Los Angeles. You can upload as many products as you want, and the inventory controls are very useful. You get detailed product statistics and a catalog manager, which allows you to keep an eye on your inventory levels. The back office gives you additional control, such as setting price options and limiting customer access as well. There is also a product review function that lets customers review your products. In terms of marketing, you can run special offers and create loyalty programs for your customers, and the program integrates with social media so you can increase exposure. When it comes to the products themselves, X-Cart integrates with all of the major payment gateways and shipping carriers, so selling and shipping your products is a snap with this program. Finally, X-Cart offers excellent security coverage and helpful customer support. X-Cart adheres to PCI standards, which is required for most credit and debit card operations, and the program also encrypts customer data. If you need help with the program, there is 24/7 customer support that you can access through live chat or phone. There is an extensive knowledge base and community forums if you want to go digging yourself too. This program is not the easiest and most intuitive shopping cart solution on the market. The interface is not as easy to use as leaders’ interfaces such as Shopify or BigCommerce, so beginners have to take time to get to know the program. Additionally, if you want deeper customization of your site design, you’re going to have to know some HTML code. None of these disadvantages are a problem for our XCart designers & developers in Los Angeles, but for beginners, these drawbacks are sure to cause some frustration. X-Cart is a highly functional and feature-packed ecommerce solution that has everything you need to run an online business. The program’s inaccessibility for beginners and its code-reliant customization options give it lower marks, as there are competitors that handle deeper customization just fine. However, this is a solid program that will serve you well, especially if you get professional help with it. If you invest in X-Cart, I highly recommend hiring our professional XCart designers & developers in Los Angeles to get the most out of the program. Our designers and developers have extensive knowledge of X-Cart’s functions and can take the frustration away from trying to learn a new program as you build your store. As an online merchant, you certainly want your store up and running as soon as possible, looking great while providing a unique shopping experience for your customers.Coalition Technologies offers the top talent in XCart designers & developers in Los Angeles; our professionals can build you a premium online store with minimal hassle. Give us a call today at 1-888-993-7639 and receive your free quote. There are tons of competing shopping cart solutions on the market to choose from. Yahoo offers Yahoo Merchant, their own ecommerce platform meant to compete with leaders like Bigcommerce, Shopify, Magento, and Volusion. How does Yahoo Merchant hold up? As owner of a firm that provides businesses with Yahoo merchant designers & developers, I’ve had extensive experience with the platform. Below I review Yahoo Merchant and offer suggestions on how to get the most out of the program. 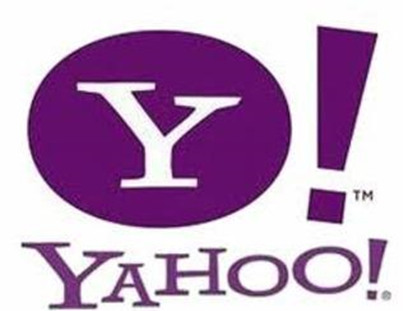 Yahoo Merchant offers all of the features you need to get your online business up and running. The program is relatively easy to use and provides web design tools, inventory and store management, basic marketing functions, and other shopping cart tools. Yahoo Merchant has a website builder that can walk you through the design process and a large library of 380 design templates with customization options, so even a beginner can get a decent looking online store up and running pretty fast. The customization options allow professional Yahoo merchant designers & developers to craft a unique, attractive online store for your customers. You can create an inventory with up to 50,000 products with the help of a useful wizard, and keep track of it with the order tracker which tracks orders, returns, exchanges, and more. Yahoo Merchant handles multiple payment options like credit card, money order, check, and PayPal with a secure SSL server and encryption for customer info. Yahoo Merchant has several useful marketing tools to drive traffic to your site as well. With Yahoo Merchant, you can make use of its affiliate program and SEO tools, as well as tools for discounts and coupons, gift-wrapping, and social media integration. Plus, if you get bogged down along the way, Yahoo Merchant provides customer service in the form of live chat and phone service, as well as a knowledge base to reference to find answers. Though Yahoo Merchant is easy to use and provides all of the functions you need to run a store, the program has several deficiencies you should be aware of. Yahoo Merchant doesn’t integrate with QuickBooks, which is frustrating if you regularly use that program. The marketing tools are useful but lacking: there is no loyalty program or daily deal tool, and there is no side-by-side product comparison. The web design customization option aren’t as great as Yahoo’s competitors. Yahoo Merchant doesn’t offer a mobile access application either. Yahoo Merchant is easy to use and has all of the features and functions you need to build and run an online business. This program is also one of the least expensive offerings on the ecommerce market. However, Yahoo Merchant lacks much of the functionality and customization options of leading platforms like BigCommerce, Shopify, Magento, and Volusion. If you want to get the most out of your Yahoo Merchant software, you should consider hiring professional Yahoo merchant designers & developers.Coalition Technologies offers the top talent in the industry. Our Yahoo merchant designers & developers have extensive experience building stores with the program. Coalition’s professionals can build you an attractive and unique online store fast, while making expert use of the program’s marketing tools to drive traffic to your store and keep customers coming back. Give us a call today at 1-888-993-7639 for a free quote. Volusion is a popular ecommerce platform that has been around for quite some time. In the time it has been active, Volusion has expanded its functions dramatically. There are constant updates to the software, with new features being introduced periodically. One thing Volusion designers & developers in Los Angeles are especially looking forward to is the platform’s multichannel integration capability, which should make for quite a lucrative addition to Volusion’s features. Alongside Volusion’s expanding features, the software is seeing an expanding user base that is growing all the time. A big factor in the platform’s popularity, besides its ease of use, robust customization tools, marketing and SEO tools, and excellent customer service is its ongoing relationship with Amazon, which allows Volusion to integrate its services with Amazon’s. This allows Volusion customers to dramatically expand their own customer base and reach a vast pool of potential buyers. Volusion can also integrate eBay, PayPal, and FedEx, among others to further increase functionality across various tasks. This makes the work of Volusion designers & developers in Los Angeles easier. Volusion’s relationships with these other companies form the basis of its multichannel integration service. Multichannel integration is a capability that allows a platform like Volusion to integrate with other services like Amazon and eBay to expand selling venues, as well as payment systems like PayPal to handle purchases, and FedEx to handle deliveries. It means integrating whole systems and taking advantage of their infrastructure to increase the capabilities of Volusion itself. With multichannel integration, Volusion designers & developers in Los Angeles can take advantage of the increased functionality to better build online stores and manage them. Multichannel integration allows retailers using Volusion’s shopping cart program to sell not only to customers coming to their online store, but customers on a platform like Amazon, which caters to 182 million customers. This functionality has allowed Volusion to serve over 40,000 active businesses, assisting these businesses in processing $12 billion in sales every year. Do you use Volusion to manage your business’ online store? Looking for Volusion designers & developers in Los Angeles to help you craft a high quality online store? Hiring a professional is the best way to get the most out of the Volusion ecommerce platform. Coalition Technologies has extensive experience building stores with Volusion’s software. Our designers and developers know every nook and cranny of Volusion’s interface, and can create a unique online store that will provide a memorable experience for your customers. We can make full use of Volusion’s multichannel integration and utilize cutting edge marketing and SEO techniques to bring in large amounts of customers and increase your revenue. What are you waiting for? Give us a call at 1-888-993-7639 and take your business to the next level. For Los Angeles WordPress designers & developers, there are tons of WordPress plugins to sift through. There are so many great tools out there to help improve your blog and ensure a memorable experience for your visitors, how do you begin to look for the best ones? Luckily, some Los Angeles WordPress designers & developers have shared some of the best plugins to check out. My company, Coalition Technologies specializes in WordPress design and development; we are all about quality content and optimizing search results so you can get plenty of traffic. I’ll discuss some of the plugins found on the list that appeal to us. Yoast’s WordPress SEO plugin features all of the functionality you need to optimize your blog. The plugin analyzes your content, as well as your title tags and meta descriptions, so you can optimize them for keywords. On each of your posts there is a form that you can fill in to check your titles, meta descriptions, and keywords. It is easy to use and a great way to keep on top of your keywords. The plugin comes bundled with other useful features such as a tool to clean up your permalinks, XML Sitemaps, RSS enhancements, and more. With over 6 million downloads and scores of happy users rating this plugin five stars, this is a great plugin for Los Angeles WordPress designers & developers. If you are looking to get more exposure of your blog on social media, the Tweetily plugin is a great place to start. The Tweetily plugin randomly selects your blog posts and tweets them automatically so you can drive more traffic to your site. You can set the time you want the tweets to go out, as well as how many tweets you want going out. You can also choose what kind of content is going to be tweeted so you can target specific posts. Coupled with your SEO plugins, you can get some great exposure for your blog fast. Tweetily is another great plugin for Los Angeles WordPress designers & developers. Once your blog starts getting more exposure, you are probably going to find yourself fielding quite a bit of comments. If you are trying to run a blog full time, you don’t want to waste too much time worrying about spam and other junk comments. This anti-spam plugin is a great tool to save you time. This plugin will automatically catch spam in the comments without you having to deal with moderation queues, and your visitors don’t have to deal with captcha boxes. This is an easy to use plugin that can save time for Los Angeles WordPress designers & developers. Check out the rest of the plugins, there are some other good selections in there. Do you have a blog to get up and running but aren’t quite sure where to get started? Consider hiring professional WordPress designers & developers to assist you in the process. Coalition Technologies specializes in WordPress design and development. Our professionals know how to build the best-looking WordPress blogs and optimize the content with the greatest plugins. Give us a call today at 1-888- 993-7639 and let’s get started. Volusion is one of the top competing ecommerce platforms on the market. Volusion’s shopping cart solution is very popular: it is trusted by over 100,000 merchants, and the program has been around for quite some time. The developers are constantly adding features to it and continuously improving its functionality. One of Volusion’s greatest features is that it can be integrated into WordPress, which is one of the leading blogging engines. This is a great tool for Los Angeles Volusion designers and developers, as well as business owners; it allows them to expand the reach of their online stores created with Volusion. All you have to do to get everything working is download and install the plugin, then set it up to communicate with your Volusion store. After you have everything configured properly, you can easily link to your Volusion products from your WordPress blog posts. You can also embed your product pictures within your blog post, which makes sharing your Volusion products a snap. The best Los Angeles Volusion designers and developers make sure to do this as part of their marketing efforts. Using a blogging engine like WordPress is incredibly important to help drive traffic to your products. You can build a great-looking Volusion store that gives customers a unique and convenient shopping experience, and you can have the best products in your industry, but if no one knows where to find your store or your products you aren’t going to have very many sales. With blog posts, you can write high quality content packed full of keywords. With the content, the keywords, links going to and from your blog and your online store, and a constant stream of visitors checking out your content, you are going to rank much higher on search engines like Google. Search engine algorithms take into account many different aspects of your enterprise: keywords, relevance, quality of links, usefulness to the user, and more. So you need to cover all of your bases. This is what SEO is all about. All of the top Los Angeles Volusion designers and developers incorporate these techniques into their campaigns. These efforts directly result in more traffic, and consequently, more potential customers and conversions. If you want to maximize the use of your Volusion software and its implementation in WordPress, you should consider hiring a professional. Coalition Technologies has extensive experience with both building shopping carts with Volusion and writing high quality blog content with WordPress. Our Los Angeles Volusion designers and developers can craft you a unique online store that works great and provides your customers with an experience they won’t forget. Plus, we know how to gear an effective marketing and SEO campaign – which includes writing high quality blog posts with engines like WordPress – to bring in plenty of traffic for your site. Take your business to another level. Give us a call today at 1-888-993-7639 and we’ll give you a free quote. NetSuite is a comprehensive cloud-based business software solution that includes tools for accounting, inventory management, customer relationship management (CRM), ecommerce, professional services automation (PSA), and financial consolidation and business management. The program is constantly being updated and the list of functions is constantly growing. Needless to say, professional Los Angeles NetSuite designers & programmers have to stay on top with NetSuite’s functions to take full advantage of the program. At Coalition Technologies, we are very serious about keeping up with the latest happenings in the industry so we can provide cutting edge design and programming services to our clients. Check out our latest findings on what is happening with NetSuite. NetSuite has acquired TribeHR, a four-year-old company in the Human Capital Management industry. TribeHR has 450 customers in 50 countries, and it markets its tools to smaller companies. This acquisition comes right after NetSuite’s acquisition of Retail Anywhere, which provides point of sale solutions for retail businesses. With the addition of these acquisitions, you can bet that NetSuite’s functionality will be expanded dramatically, so Los Angeles NetSuite designers & programmers should take note. NetSuite markets itself as a unified business solution. This software handles many different aspects of operating an enterprise. With the addition of TribeHR, the software suite’s roster of functions is going to be expanded quite a bit. TribeHR is the developer of Human Resources software which helps businesses manage their relationships with their employees. TribeHR includes tools to track and take note of job applicants, manage information, provide peer and public recognition, share goals and values, share news, allow employee feedback and engagement, and more. One thing is for sure: Los Angeles NetSuite designers & programmers will have plenty more to work with. You can bet many or all of these features are going to be migrated into the NetSuite system. Intimidated by the size and scope of NetSuite’s software solution? Worried about keeping up with the latest industry updates and the growing array of NetSuite’s functions? Consider hiring professional Los Angeles NetSuite designers & programmers. Coalition Technologies provides the top talent in the industry to manage NetSuite’s extensive functions. For retailers, our Los Angeles NetSuite designers & programmers can craft unique and attractive online stores with NetSuite’s ecommerce tools. We keep up to date on the latest industry news and make sure our professionals can maximize the use of the impressive assortment of NetSuite functions as their library grows. Our SEO and marketing talent can optimize your website for top search engine rankings and help you bring in the big traffic. What are you waiting for? Make use of our top-rated programming and design talent today and let us stay on top of the industry for you. Give us a call at 1-888-993-7639 and get a free quote. The holidays are upon us, and everyone is gearing up for the holiday traffic. As an Amazon Webstore owner, what can you do to improve your merchandising and outperform your competitors? The Amazon Webstore Team has recently provided some useful tips for selling in the holiday season. As owner of Amazon Webstore design agency, I can definitely get behind many of these suggestions. Want to be ready for the holiday shopping rush? Let’s go over the key points. Make sure your customers are getting a positive impression on the first few pages they see. Put your best merchandise efforts on your home page and key category and landing pages. Stay simple and effective: you don’t want over-complication to slow your website down. Keep your best deals and high sellers within reach. Cut down on the amount of pages a customer has to click through as much as possible. Do what you can to promote your products: push sales, deals, and free shipping to drawn in customers from the competition. Your store should have products searches that have price and brand filter functionality. Make sure your customers can find what they want fast. As owner of an Amazon Webstore design agency, I have learned that visuals matter. Invest in attractive site design and imagery and you’ll bring more customers in. Make sure your online store is organized well and flows for the browsing customer. If holiday shoppers get lost and become frustrated, chances are you are going to lose them. Consider in investing in an Amazon Webstore design agency to help you with this. Provide as many products and as much information as possible within a small scrolling area, as long as you don’t clutter up your site. You don’t want your visitors getting frustrated from having to scroll through endless pages. Keep your messaging clear, simple, and direct. Don’t be afraid of appealing with bold calls to action, but if your messages get convoluted or repetitive, shoppers are going to ignore them. 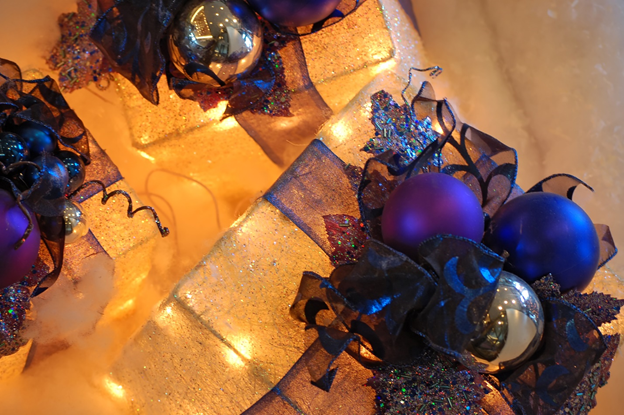 Shoppers want to make sure their gifts reach their recipients in time. Make sure you have clear messaging on delivery times and cut off dates. You should also provide easy-to-find contact information. Retailers can always expect a certain amount of returns in the holiday season. Make sure your return policy is clear and understandable, and that you communicate limitations up front. Need an Amazon Webstore Professional? Do you want to take the guesswork out of ramping up your Amazon Webstore for the holidays? You should consider hiring an Amazon Webstore design agency like Coalition Technologies. Coalition Technologies has extensive experience with the Amazon Webstore platform. Our professionals can design you a great-looking site with flawless organization, and we can help you with SEO and marketing messaging so you can beat out the competition. Give us a call today at 1-888-993-7639 to receive a free quote.